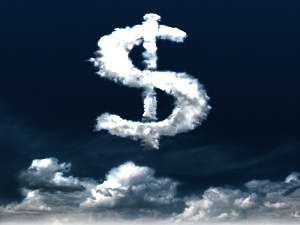 Read more to get a detailed understanding of these underlying costs in the cloud. Despite all the hype around the move to the Cloud over the past few years, latency remains the one issue that many organizations are still failing to get to grips with. This is somewhat surprising, as file access and application performance – or in short, how quickly information is delivered to the end user or how long it takes to download or open a file – is often high on an end user’s priority list. High latency has a range of causes. A common one is the physical distance between the office and the data centre. Others include congestion on the network as well as packet loss and windowing. While many organizations have explored the use of various application performance tools that are currently available on the market, it is often the physical issue of distance that needs addressing. Multi tenant business applications with a pay per use pricing model gives small businesses an opportunity to compete against large enterprises with huge IT finances and their legacy applications. This helps smaller companies to enjoy enterprise level services, security and products at the fraction of the price. From basics explanations to understanding the impact to Enterprise IT, there are a lot great presentations to educate you on the subject of Cloud Computing. However, with over 15,000 decks on the subject, it is hard to find the gems that are worth leveraging. Click here to find out the top 10 presentations for your consideration. Inertia and change.. Cloud is the way forward..
Another chapter in the WOLF story. We're touching Cloudy peaks: WOLF is on Alltop!